This project involved a complete re-design for H & M Craftsmen as the old web site needed updating and also needed to be responsive. 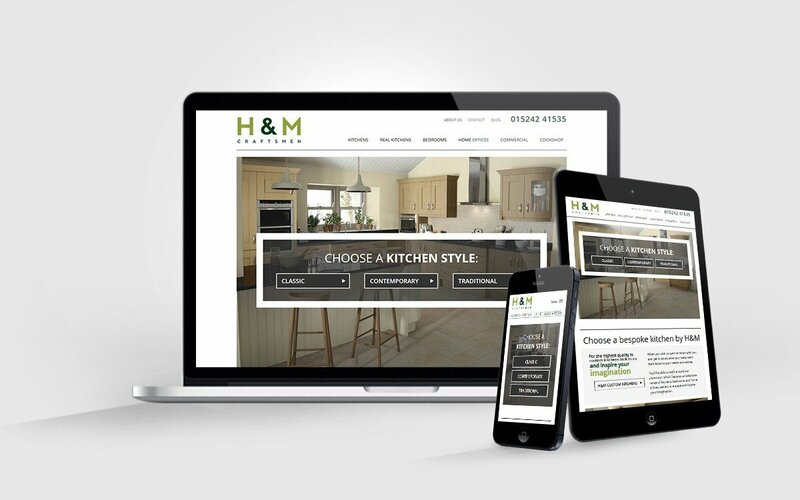 After discussing the project and getting to know the client, their needs and also understanding how their business works I was able to put together a strategy for the new website to help convert visitors to the site into visitors to the H & M Craftsmen kitchen showrooms. From our first meeting, Adam took the time to fully understand our business & the aims we had for our new website. He listened to our wishes for the design of the site & with his advice and SEO knowledge, he created a great looking, easy to navigate website that we are really happy with. We would highly recommend him!